* Fleas can transmit tapeworms to your pet. * Fleas can cause a pet to become severely anemic in large numbers. * A Flea can jump 150 times it’s own length – a human equivilent would be able to jump 1,000 feet! * The female flea can lay 2,000 eggs in her lifetime. * If all 53 million dogs in the US hosted 60 fleas, we’d have more then 6 trillion flea eggs surrounding our pets. Laid end to end, those eggs would stretch around the world more than 76 times! * If you happen to see 1 flea, there may be more that 100 offspring or adults looming in furniture, corners, cracks, carpeting, or on your pet. * Fleas cannot tolerate cold temperature – hence spring and summer are the most active months for fleas. * Our houses are kept warm and cozy during the fall and winter months so fleas can survive on your pet year round!!! Frontline Topspot is a flea prevention that can be used year round to keep fleas off your loved one. It even takes care of ticks! Call our office today if you have any questions or would like to pick up some prevention today to keep your pet FLEA FREE!!! This entry was posted in Uncategorized on May 30, 2009 by yourfriends. At Kingsbrook Animal Hospital we are always striving to better serve you and your pet. 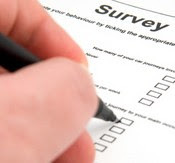 Please let us know how we are doing by taking our on-line survey at www.vet-survey.com/kingsbrook. In apprecation, you will be entered into a monthly drawing for a $50.00 Giant Food gift card. But hurry, the contest ends may 31, 2009. Please take a moment to give us your commets – you could be our next winner! This entry was posted in Survey on May 27, 2009 by yourfriends. A good first aid kit is a must to be prepared for emergencies. There should be a first aid kit in your car, and in your home. The more complete your first aid kits are the better you can deal with emergencies as they come up. The best time to assemble those kits is now. If you wait until an emergency happens, you will be too late. If you have animals, then supplies for them should be included in both your car and your home first aid kits. These goals will help you assemble your first aid kits. Consider all of the possible emergencies which can happen. If you do not want to prepare your own kits, there are very good prepackaged kits on the market. Peruse their contents carefully so that you know whether or not the kit is appropriate as there are also kits which are nothing more than “band-aids”. You will need to know if the kit you are purchasing has perishables such as aspirin in it so that they can be replaced when they expire. If you decide to prepare your own kits, you will find that many supplies will come packaged in larger quantities than you find in a single prepared kit. Divide the packages into the different kits you are making. Many supplies are appropriate for all kits. First aid kits should be kept in containers that are labeled as such. Small containers which can be used for first aid kits can be found as cosmetic boxes, sewing boxes, tackle boxes, tool boxes, etc. If you purchase your supplies first, you will have a better idea what size box you will need to find to store them. Keep the box in a single location in your house, car . Everyone should know where It is, and always keep out of reach of children Here are some basic items that all first aid kits should contain. 22. Numbers for the Animal Poison Hotline & Poison Control for Pets (800/548-2423 or 900/680-0000 both numbers charge a fee). The National Poison Control Hotlines for humans should also be included. This entry was posted in Uncategorized on May 24, 2009 by yourfriends. Rabbits hide their nests in plain view, often putting them in the open; for example, in the middle of the lawn, as well as in brush piles and long grass. If you find a nest that has been disturbed, do all you can to restore and protect it rather than bring the infants inside. Rabbit mothers nurse their babies for approximately 5 minutes a day. They will be in the nest early in the morning and then again in the evening. The milk is very rich and the babies “fill up” to capacity within minutes. Mother rabbits do not “sit” on the babies to keep them warm as do some mammals and birds. They build a nest with fur and grasses which helps to keep the babies warm in between feedings. If you come across a nest of bunnies in the wild and the mother is no where to be seen, please DO NOT disturb them…this is normal. By removing them from the nest you are greatly reducing their chances of survival. If your dog disturbs a nest or you find a wild bunny with its eyes open, please put him back if not injured. Keep your dog away from the area and reconstruct the nest with grasses. If need be, you can move the nest up to 10 feet away where safer. Mom will be coming back at night to call and feed him only once in the middle of the night. Do not take the bunny inside or feed him. That is the mom’s job. IT IS A MATTER OF HIS/HER SURVIVAL AND UP TO US AS HUMANS TO LEAVE NATURE BE AND LET THE MOM CARE FOR HER YOUNG. We often hear of mothers moving their babies and their nests, and have seen moms come back every night for up to a week to look for her missing baby. Do not take the baby from the mom or she will be frantic. 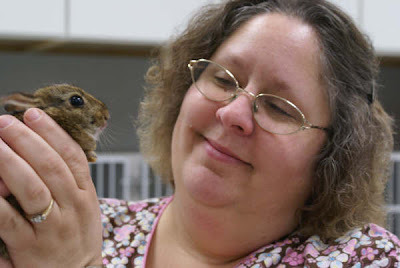 If you come accross an injured bunny, the best thing you can do is to call your veterinarian or get in touch with a skilled wildlife rehabilitator. This entry was posted in Baby Bunny ALERT on May 21, 2009 by yourfriends. Should I worry if my dog has missing teeth? Because there are many reasons a tooth could be missing, we should never assume that an absent tooth in a dog’s dentition is simply not there. A tooth could be missing secondary to physiologic reasons, trauma, breed predisposition, a tooth not erupting, or impaction. To find out which of these causes we are dealing with, dental radiographs need to be taken. This allows the doctor to see if the tooth is truly absent or if it is impacted, as well as valuable information about the root structures and bone around the rest of the teeth. So what if the tooth IS impacted? Impacted teeth can lead to further damage in a dog’s mouth. Extraction of these teeth is always recommended to prevent or treat a dentigerous cyst. These cysts can be invasive and destroy nearby teeth and surrounding bone, potentially leading to further extractions. With the extraction of impacted teeth and removal of the cyst (if present) prognosis is excellent and further damage can be prevented. This entry was posted in Impacted teeth on May 18, 2009 by yourfriends. For the past 125 years, the American Kennel Club® has been the nation’s premier advocate for dogs and the people who love them. The AKC’s Board of Directors has voted unanimously to proceed with a program for mixed breed dogs which will allow it to act even more broadly and effectively as the dog’s champion. The creation of this program ushers in new opportunities for AKC’s constituents and clubs and will allow the organization to grow and flourish. The mixed breeds program will be implemented in three phases. As of October 1, 2009 owners can begin enrolling their pets and receive an AKC ID number. 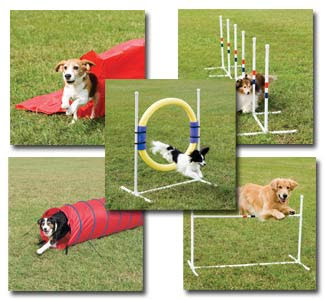 Then beginning April 1, 2010 enrolled dogs will be eligible to compete in mixed breed classes at stand-alone AKC Agility, Obedience and Rally events. Soon after they will have access to benefits such as discounted AKC Companion Animal Recovery Lost and Found service, a free AKC Canine Good Citizen® certificate for dogs passing the CGC test, a free initial veterinary visit, a trial offer of pet health insurance and discounted coupons for dog supplies. This entry was posted in Uncategorized on May 15, 2009 by yourfriends. The flowers are in bloom and the weather is getting warmer. Certainly our love for outdoor activities are growing by day. Spring also exposes us and our four-legged friends to flower and tree pollens, making us highly attractive with itchy eyes and runny noses. You may have noticed how our dogs scratch and/or lick a little more since we have started to enjoy the colorful flowers and warmer weather. These may be signs of seasonal allergies in our companions. Dogs can certainly have mild to moderate tear-like discharge from the eyes but more commonly, they start to scratch their bodies or lick their paws. Antihistamines, either over-the-counter or prescription, can help relieve signs of seasonal allergies. Some dogs may require more than antihistamines to have their allergy-related signs under control. Flea or mite infestation, bacterial skin infection, or fungal skin infection can cause similar signs. If you notice that your four-legged friend is experiencing severe itchiness, please contact your veterinarian for an evaluation. 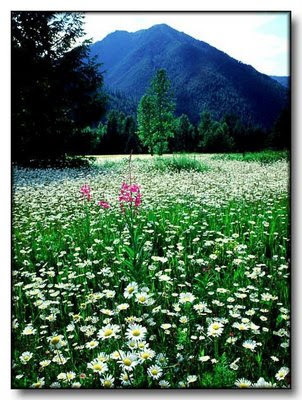 This entry was posted in Seasonal Allergies on May 12, 2009 by yourfriends. A young Thai jewelry designer has crafted a tiara worth $4.2 million for his pet dog, using precious stones given to him by his mother. Riwin Jirapolsek, who showcased the tiara at a dog show in Bangkok recently, said he wanted to make something special for Kanune, his 15-year-old male Maltese. He took almost two months to finish the piece, which is made from titanium encrusted with 250-carats of emeralds and diamonds. Jirapolsek said he has no plans to sell the tiara, and now wants to create a jeweled hair clip for his beloved canine. Despite the global economic crisis cutting into people’s expenditure, the Bangkok dog show saw several canine lovers dressing up their pets in elaborate costumes and accessories and participating in events. This entry was posted in Uncategorized on May 9, 2009 by yourfriends. This entry was posted in Bark in the Park on May 7, 2009 by yourfriends. The Eastern Veterinary Bloodbank Needs Your Help!!! The Eastern Veterinary Blood Bank is an all-volunteer canine blood bank and they are having a blood shortage. Could your dog be a blood donor “Hero” for someone else’s canine companion?  Dog receives a Physical Examination prior to each donation.  For each unit of blood donated, the donor is eligible to receive one unit of blood or plasma should illness or injury occur.  Dog must weigh over 35 lbs.  Dog must be on heartworm prevention monthly. Did you know a single blood donation can save up to 4 lives? Did you know your dog can donate right here at KAH? For more information please call our office at 301-631-6900 or the Eastern Veterinary Blood Bank Staff at 1-800- 949- 3822. This entry was posted in EVBB on May 6, 2009 by yourfriends.